For almost 100 years high quality products, great customer service & a strong team work ethic have been the building blocks of Victor Printing’s success. We have the knowledge & expertise to not only meet, but exceed our customer’s expectations. Complete customer satisfaction is the key to success, with our online ordering system, we are able to share our extensive capabilities with all trade customers. Victor Printing, Inc. is a full-service trade printer that has been supplying quality products and service for almost 100 years. William Victor Richards started in the printing industry in the basement of his parents’ home in 1919. As business grew, he found it necessary to move to a larger location. And although that small brick building is no longer recognizable after the many additions and renovations, it is still the home of Victor today. After joining the family business in the late 1940’s, William J. Richards, would eventually work side by side with his sons and current third generation owners, William G. and Terence. With the purchase of their first web press in the late 1970’s and continued growth in the 80’s, a second location was purchased in 1993 that would eventually come to be our commercial printing division. Business continued to grow and so did the needs of our customers, which brought about added equipment and capabilities. The inception of digital printing at Victor in 2000 with the purchase of our first HP Indigo press, allowing for personalization with variable data printing. Throughout the next several years, growth in the digital area would continue with the purchases of 2 KPG Directpresses, a direct image plate system and the beginning of our large format division. Our commercial division would continue expansion with the addition of direct mail services and a 6-color Komori LS 29 Lithographic press. 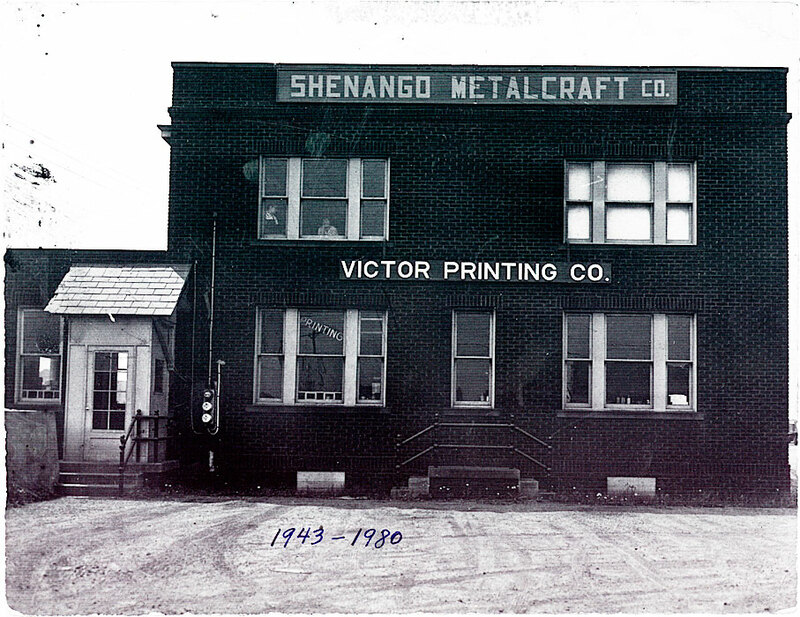 A lot has changed at Victor Printing in the past 99 years of business. Gone are the days of the hand-fed platen press that was used in 1919 when Victor Printing, Inc. began. And present are the days of the internet and computer technology. But the one thing that remains constant is our goal of offering high quality products and services and achieving complete customer satisfaction!